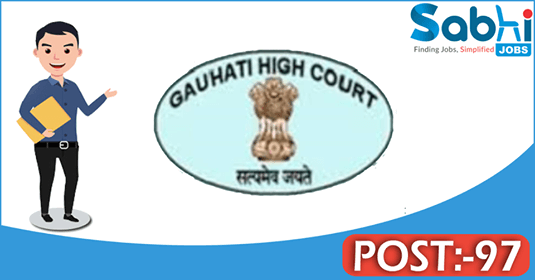 Gauhati High Court recruitment 2018 notification has been released on official website www.ghconline.gov.in for the recruitment of total 97 (ninety seven) jobs out of which 13 (thirteen) vacancies for Stenographer (Grade-II), 84 (eighty four) for Stenographer (Grade-III) vacancies. Job seekers should apply from 17th March 2018 and before 31st March 2018. Here on this page you will get the details like the Name of vacancies released by Gauhati High Court with exact number of posts. Some other criteria like Education details, application fee and way to apply application for Gauhati High Court recruitment 2018. Educational Qualification: Graduate from recognized University and Diploma / Certificate in Stenography / Shorthand from ITI/Polytechnic / any other Institute for S.no-1. Passed Higher Secondary Examination from any recognized Board and Diploma/Certificate in Stenography/Shorthand from ITI/Polytechnic / any other Institute for S.no – 2. Fee charges: Applicants who wanted to participate for Gauhati High Court should pay the below charges through Challan at any Branch of SBI. Interested and eligible aspirants may apply online through the website www.ghconline.gov.in from 17.03.2018 to 31.03.2018.